An Allsop Space Auction in the RDS in December. 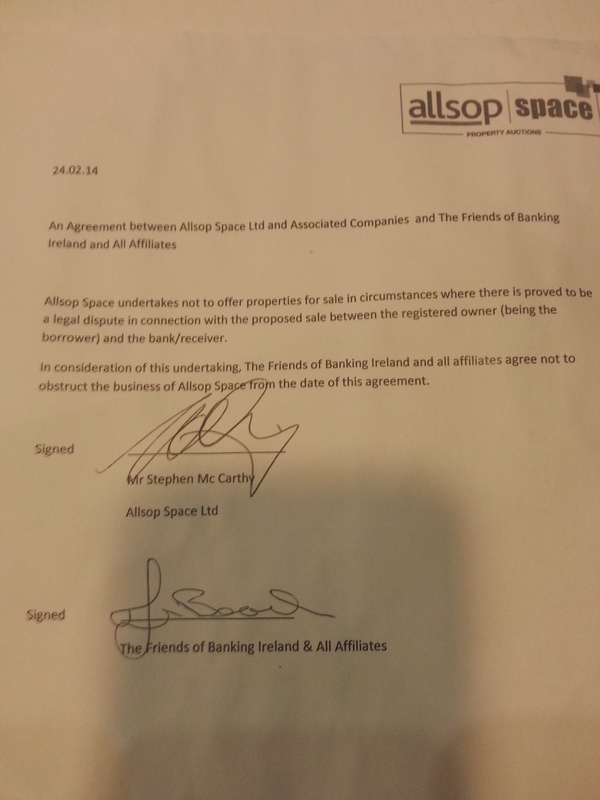 ALLSOP SPACE HAS confirmed this evening that is has signed an agreement with the action group Friends of Banking Ireland after a sit-in at the auctioneers’ office earlier today. The group of around 25 people occupied the offices on Lower Baggot Street in Dublin today in protest against an auction planned for tomorrow. After hours of talks, an agreement was signed that no properties in future will be offered for sale where there is a legal dispute in connection with the proposed sale between the registered owner and the bank or receiver. 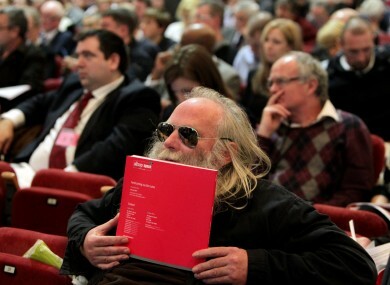 The auction of 182 properties will now proceed tomorrow at 9am in the RDS. There has been controversy surrounding some auctions of distressed properties by the auctioneers in the past with former owners of homes and businesses staging protests. However Allsop has also signed an agreement with the Irish Mortgage Holder’s Orgainsation not to sell any repossessed homes that had not struck a deal with their bank. Email “Allsop signs agreement to end auction protestors' sit-in”. Feedback on “Allsop signs agreement to end auction protestors' sit-in”.